WITH electioneering for the simultaneous Lok Sabha and Assembly polls in Odisha gaining momentum, Prime Minister Narendra Modi is all set to visit the State twice in the first week of April, party sources said on Sunday. 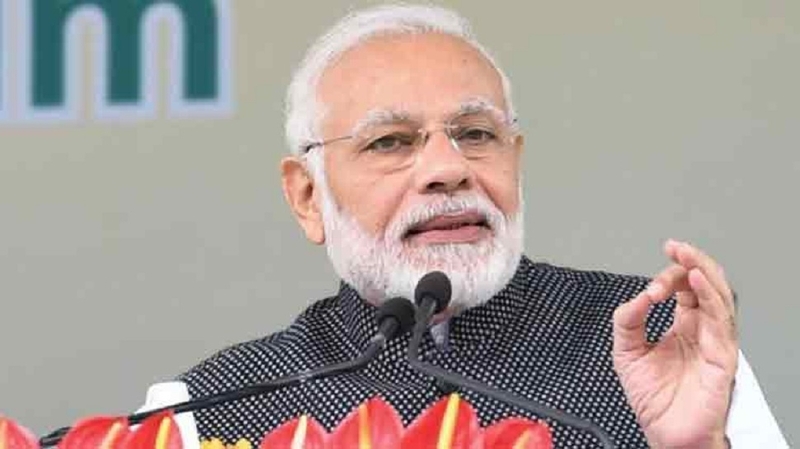 The Prime Minister is scheduled to address a public meeting at Bhawanipatna, the district headquarters town of Kalahandi in western Odisha on April 2, Union Tribal Affairs Minister Jual Oram said. He is slated to visit Odisha again to address an election meeting in Sundargarh on April 6, he said. The Sundargarh rally will be Modis third poll meeting in Odisha in less than ten days as he had kicked off BJP’s election campaign in the state from Jeypore town in Koraput district on March 29. Oram said the back-to-back visits of Modi, who is likely to highlight several development and welfare schemes being implemented by the Centre, will go a long way in bringing a wave in favour of BJP in the State. While Kalahandi is among the four Lok Sabha seats where the first phase of polling will be held on April 11, voting in Sundargarh parliamentary constituency is scheduled to be beld in the second phase on April 18.